SPNL is one of the oldest environmental NGOs in Lebanon. It was established in 1983 under the Lebanese Laws, and licensed by the Ministry of Interior by decision no. 6/AD dated 8/1/1986. SPNL is the national partner for BirdLife International in Lebanon. It considers birds as entry points for the conservation of wider natural resources, as they act as key indicators of the status and health of ecosystems. The committee was founded on October 25, 1985 and has obtained license from the ministry of Interior under number 126 on July 31st, 1986. Its head office: the Bureau of Cedar Friends Committee – Becharry, Iles de France nursery – Kanata Street. The Association for Forests, Development and Conservation (AFDC) was established in 1993 to achieve sustainable conservation of natural resources, raise awareness and build capacities to contribute to the national efforts for better environmental management. Fundamental to AFDCs mission is the pursuit of community-based conservation for the sustainable livelihoods of people. This comes from the idea that conservation will fail if local communities do not benefit from it. The largest of Lebanon nature reserves, Al-Shouf Cedar Nature Reserve stretches from Dahr Al-Baidar in the north to Niha Mountain in the south. blanketed with oak forests on its northeastern slopes and juniper and oak forests on its southeastern slopes the reserves most famous attractions are its three magnificent cedar forests of Maasser Al-Shouf , Barouk and Ain Zhalta – Bmohary . These Cedar forests account for a quarter of the remaining cedar forest in Lebanon , and some tress are estimated to be 2,000 years old. The size of the reserve makes it a good location for the conservation of medium size mammals such as the wolf and the Lebanese jungle cat, as well as various species of mountain and plants. 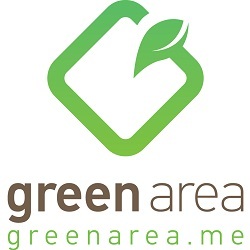 Development for People and Nature Association (DPNA) is an independent grassroots-led NGO based in Lebanon which promotes sustainable development of people and place. DPNA was established in 2003 (Register Nr; 153/A.D. 7/10/2003) and currently has 14 full- and part-time staff members as well as 500 volunteers to help support our vision and mission. The Association for the Protection of Jabal Moussa (APJM) is a non-governmental, not-for-profit organization created in 2007 for the conservation of biodiversity and preservation of the cultural heritage in Jabal Moussa Mountain and surrounding villages. Our aim is to achieve sustainable development with the participation of local communities. Founded in 1995, T.E.R.R.E. Liban is an independent Lebanese non-governmental organisationdevoted to the creation and implementation of environmental education within Lebanon and has been a leader in the promotion of environmental solutions for sustainable development. 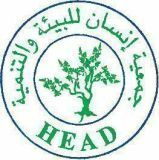 Human Environmental Association of Development – Head Association is a non-governmental organization which was officially registered under the Ministerial Decree number 09/723. The message of our association is assembly to contribute the preservation of the environment and its elements of earth, air, water, and biodiversity in Lebanon by working to raise the environmental awareness, enhancing the technical skills and environmental sense of citizenship by the individuals and institutions with focusing on women, children, and young people in collaboration with governmental and non- governmental institution, and to act within the interest of the country within the principles of sustainability and effective participation of the community.